We are four lads from Newcastle upon Tyne. Brought together by our love for melodic, deep, and powerful rock. From the outset, we have had much interest in what we are doing. Gaining numerous support slots from touring bands, in some of the best venues our beautiful city has to offer. We focus mainly on the creation of music and live shows, ensuring that whoever comes to see us gets a full throttle, memorable performance. We are a dynamic band, gaining influence from all over the spectrum. Mick (lead guitar) and Benn (Vocalist/rhythm guitarist) were in a band previous to Castor Troy, after that disbanded they continued to write and record full songs. During a rather good house party, Joe (bass) listened to a rough EP they produced. This instantly caught his attention and he wanted in. We began practicing at each other’s houses on a regular basis, finding a unique sound and developing our writing skills. After searching for a drummer we instantly found Chris, a perfect match some would say. We organised a full band practice and after a very memorable 2 hours, the foundations were in place. We decided to take a new approach to being a band. Rather than gigging straight away, we put a plan in place to hit the Newcastle scene with an EP already produced. After a stint in the studio recording 3 singles and releasing them we got an overwhelming response from the general public, leading too multiple plays on local, regional and national radio, including BBC and Kerrang! 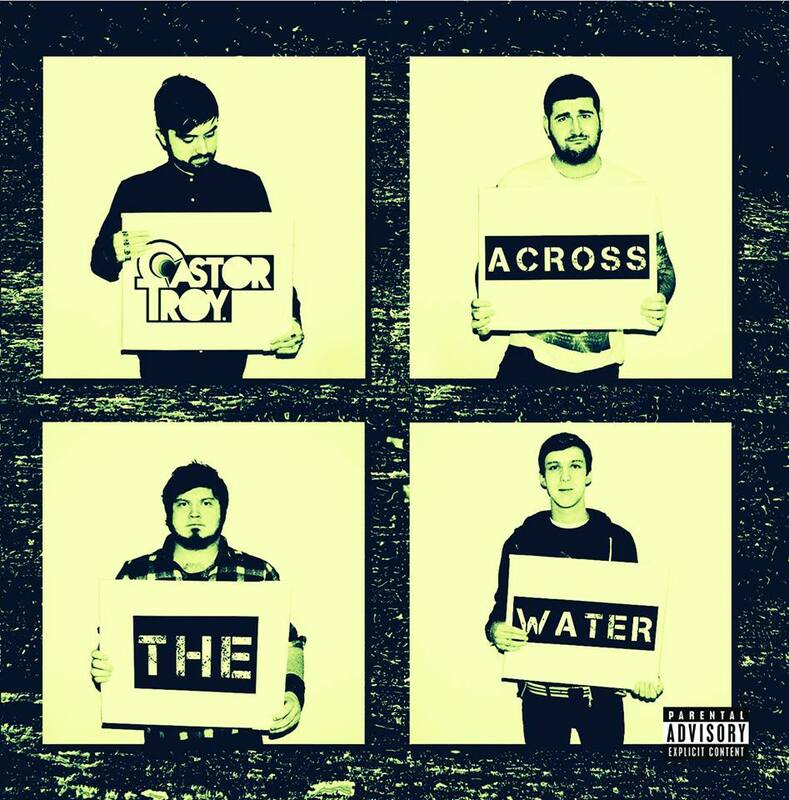 Our debut album “Across The Water” is available now, you can get a copy from iTunes, Amazon, Spotify and other good retailers. If you see us live you can pick up a lovely physical copy. Rounding this up, basically we love writing emotive, interesting music. We’re 4 likeable characters in a band. We’re under no illusion thinking we can change the world. We just loving doing this and we hope people enjoy what we do.